Srinagar, Feb 12: Hailing from Chandrigam village of south Kashmir's Tral, Adnan Shafi, recently came up with his debut poetry collection "Tears Fall in My Heart", depicting pain, sufferings and remorse. Shafi, 23, a post graduate in English Literature, is inspired by his father. Being a literature student, he wanted to give his writings an alternative beauty which he finally developed into poetry. "Besides my father, the amazing contribution of well known poets like John Keats, John Donne and Shakespeare spurred me to be a writer," says Tral boy, whose book is available on leading e-commerce sites, Amazon and Flipkart. After qualifying secondary level education with a distinction, Shafi took admission at Government Degree College Tral in Arts stream as a private student. "It was not possible for me to study in regular mode as I was facing hard time to make ends meet," he says. The young author, who is currently pursuing another post graduation course in Public Administration through IGNOU, says, "My aim is to produce more and more work in the form of books and thereby gaining recognition of a well known author." Enthusiastic to write about themes like Kashmir conflict, nature, resurrection, fate and resolution, Shafi started his career of poetry writing nearly four years ago when he wrote his maiden piece of poetry about nature. "I am not just interested in poetry but my first aim was to compile a book of poems. I also write articles and short stories for different media organisations. I am currently working on a novel that will be completed soon," says Shafi. Sharing his journey from student to teacher and now as an author, Shafi adds, "When there was the time for me to be a student, I became a teacher only to cover my family expenses. That was a very tough journey for me, and how I survived that situation is only known to me." Advising aspiring writers especially poets, he says, "My simple advice for them is to focus on the things you like the most. Stay positive in life, there are several challenges which we have to face at any cost." When asked about his favourite author, Shafi says, "It is quite a challenge for me to choose one. But on the top my list, there is John Keats; besides, I like Agha Shahid Ali as he has used the themes of exile and nostalgia in his poems, for ruined landscapes and political conflict." About the book title, he says the title "Tears Fall in My Heart" was inspired by the ongoing situation in Kashmir. 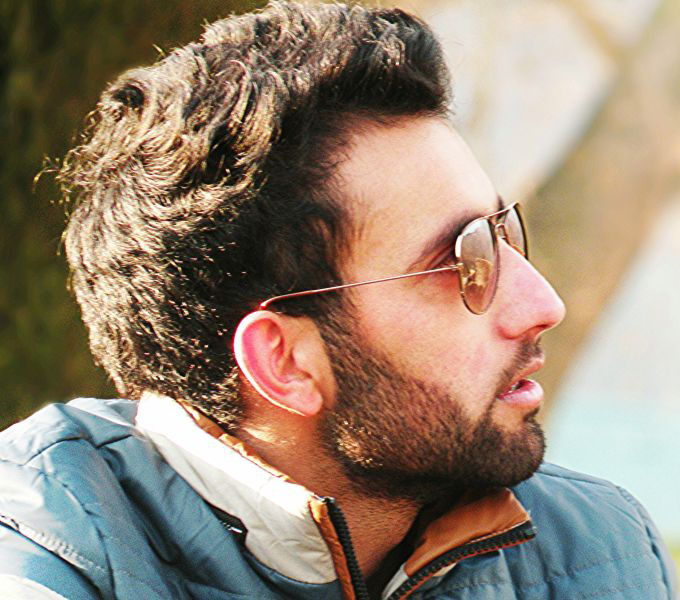 "I may have not been able to narrate the full story regarding Kashmir conflict, but my attempt was to bring the readers as close as possible to its reality," he adds.